The Boii were a Celtic tribe that was located to the north of the Alps and east of the Rhine, in what became eastern Germany and western Czech Republic. Although the extent of their territory is unknown, it clearly formed part of a very powerful and very extensive Celtic kingdom, one which apparently dominated many of the other Celts and may even have held some kind of high kingship over them. The tribe must have been vast by later first century BC terms, emerging into history from the north-eastern heartland of Celtic Hallstatt culture, and probably played a role in spreading the subsequent La Tène culture farther north-eastwards. The latter culture was still extant during the tribe's recorded existence. The tribe's name translates as 'cow', making them the original 'cowboii'! The root word 'bo' means 'cow. For the origin of that sound, a best guess is that the proto-Indo-European sound 'kw' was retained somehow among Germanic speakers (in violation of Grimm's law), but changed to a 'p' among second wave sound changes among Celtic-italic speakers. Then the 'p' would have hardened into a 'b' sound, although this is an educated guess. So 'cow' (Anglo-Saxon 'cu') is 'bo'. It suggests a tribe that was not on the front line of Celtic expansion, one that was generally settled and more concerned with livestock than conquests. Most Indo-European groups were great pastoralists, and the Cimmerians, more Indo-Europeans who may even have influenced Celtic culture and speech, are linked to the Biblical Gomer, another name which translates as 'cow'. Less reliable guesses that have been bandied about include suggesting that 'boii' meant something along the lines of 'the terrible' and that it could refer to the stature of its people and the weaponry they used. Iron Age remains have shown that they fought using huge double-handed swords that would require a fairly hefty stature to wield, and this is sometimes used as confirmation of 'the terrible' as a translation of their name. However, cows came before iron swords (or any swords at all), and remained an important part of Celtic life and culture even into medieval Irish and Welsh history. Tales of cattle rustling have been preserved to the present day, showing how important these beasts were (and of course still are). An early Celtic tribe that was named 'cow' would have signified their basic relationship with the animals, and perhaps their dominance in terms of that relationship and the size of their herds. The Boii were one of the biggest players in Roman relations with the Celts in the centuries prior to Julius Caesar's campaigns in Gaul. They appear to have undergone an expansionist period in the fourth or third centuries BC which saw pockets of them establish new homelands in several regions across Europe. It can be hard to pinpoint which pockets were established at this time and which were established following the tribe's takeover by Germans at the very end of the first century BC, but there is one group that can be connected to the earlier period with certainly, simply because the Romans were nearby to record their presence. This group of Boii managed to get as far south as Bologna, near Ravenna, in the fourth century BC. They intermixed with the dominant Etruscans, but were later defeated and subjugated by Rome. By the first century BC, they had been forcibly integrated into the Roman republic, although they retained elements of their language which have survived to the present day. More detail on Boii migrations is covered in the Dispersal section of this page. The Bebryces belong to the Hallstatt culture of Celts, along with the Boii, Cotini, Harii, Helisii, Helveconae, Manimi, Naharvali, Osi, and at least some elements of the later Lugii. They are to be found around the central German lands or in Bohemia, territory that would later form the homeland of the Boii, and which may even be shared with their ancestors at this time. They and other Celts begin an expansion around this time that sees them migrate south-westwards, towards southern France, the Pyrenees, and into Iberia. As they are primarily cattle herders, they take their herds with them, greatly supplementing their diet with milk, fatty cheese, and beef. Following the route set by Bellovesus and the Bituriges, other bodies of Celts have gradually invaded northern Italy, probably due to over population in Gaul and the promise of fertile territory just waiting to be captured. The first of these is the Cenomani around 400 BC, under the leadership of Elitovius. They found settlements at Brixia (modern Brescia) and Verona (the latter perhaps being captured from the Euganei). The Libui follow next, along with the Saluvii, both of which settle near the ancient tribe of the Laevi. Then the Boii and Lingones cross the Pennine Alps and, as all the country between the Po and the Alps is occupied, they cross the Po on rafts and expel not only the Etruscans but the Umbri as well. However, they remain north of the Apennines. Then in 391 BC the Senones, the last to come, occupy the country from the River Utis (or Utens) to the Aesis (near Ancona, which marks the border between the Picentes and the Umbri in Italy). The Alpine Medulli tribe may also find its home there as part of this migration. The Boii migrate into the region which forms modern western Czechia in the Pannonian Plain. Over the next four centuries they become so closely tied to the region that the Roman form of its name, the Boiohæmum, is apparently retained (or coined) by the tribe's Germanic successors. The name survives into the Middle Ages as Bohemia, which remains in common use until the twentieth century and it still a regional name today. However, this eastwards expansion of the La Tène culture which is led by the Boii stops the Pomeranian Face-Urn culture from expanding any further south. The Etruscan city of Pupluna suffers badly during Rome's wars against the Boii, this being the group that migrated into Italy in the fourth century BC. Having seen the expulsion by Rome of the Senones in the previous year, the Boii raise a general levy which includes Etruscans and set out to meet the Romans on the battlefield. Near Lake Vadimonis the battle sees the Etruscans suffer the loss of more than half their men, while hardly any of the Boii escape alive. The following year the Boii and Etruscans try again. This time everyone is armed, including youths who have only just reached manhood. Again they are decimated and completely defeated, and this time they surrender, sending ambassadors to Rome to conclude a treaty. Polybius writes that constant defeats at the hands of the Gauls had inured the Romans to the worst that could befall them, so that they are able to fight the Boii on this occasion like trained and experienced gladiators. The Boii are also linked to the Tolistoboges in the form of Tolistoboii, which therefore is an enterprising division of the main host. 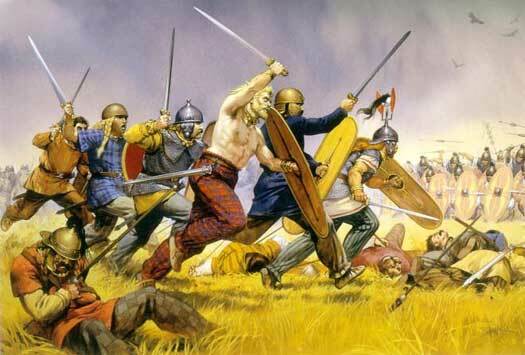 It is the Tolistoboges that forms the main driving force of the Celtic invasion of Thrace at this time, which ultimately results in the formation of the Scordisci confederation and the Galatian kingdom. King of the Boii in northern Italy. Killed by his people. Co-ruler of the Boii in northern Italy. Killed by his people. The Gauls in northern Italy have maintained an unbroken peace with Rome for forty-five years, the last battles having being fought against the Boii. A new generation is now in command of the tribes and is eager to test itself against the common enemy. These tribal chiefs inflate trivial excuses in their cause, and invite the Alpine Gauls to join the impending fray. This is the first that the majority of the tribesmen know of the intended renewal of hostilities, and the Boii immediately form a conspiracy against their own leaders, as well as against the newcomers. A Gaulish king who acts without the support and consent of his own people places considerable risk on his own safety. Atis and Galatus are put to death, and the tribe cuts itself to pieces in a pitched battle. Rome, alarmed at the threatened invasion, is able to recall its dispatched army. Five years after the threat of war between Gauls and Rome had ended in Gaulish internecine battle, during the consulship of Marcus Aemilius Lepidus, Rome divides the territory of Picenum, from which the Senones had been ejected in 283 BC. For many of the Gauls, and especially the Boii whose lands border this territory, this is an act of war. The tribes are now convinced that Rome wants to destroy and expel them completely. Over the next six years or so, the two most extensive tribes, the Boii and Insubres, send out the call for assistance to the tribes living around the Alps and on the Rhone. Rather than each of the tribes sending their own warriors, it appears that individual warriors are hired from the entire Alpine region as mercenaries. Polybius calls them Gaesatae, describing it as a word which means 'serving for hire'. They come with their own kings, Concolitanus and Aneroetes, who have probably been elected from their number in the Celtic fashion. With peaceful overtures by the Insubres being firmly rejected by Rome, the tribe calls on the Gaesatae once more. Together they fight the Romans and withdraw intact to Mediolanum. The stronghold is stormed by the Romans and, following some hard fighting, the Insubres are left with no option but to surrender, their unnamed chief making a complete submission to Rome. This act effectively ends the Gallic War in northern Italy, as Rome now dominates all of the tribes there. However, the main body of Boii in Germany still exists in complete freedom from any Roman control, and probably Roman contact at this point in time. Writing in the mid-second century BC, Polybius provides both the Allobroges and the Segovellauni with their first mention in history. The Allobroges are already established on the western side of the Alps and control many of the important passes through the mountains. They (and 'other tribes' which may include the Medulli) unsuccessfully attempt to resist the passage of Hannibal and his Carthaginian army which is on its way to attack Rome during the Second Punic War. 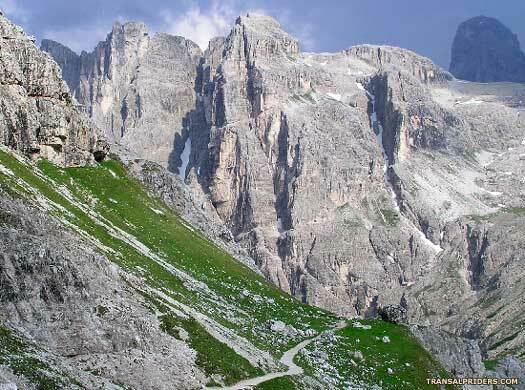 Perhaps not unexpectedly, it seems to be fellow Celts, the Boii of northern Italy, who first show the mountain passes to Hannibal after the Segovellauni have escorted them through the Allobroges' lands, according to Livy in Ab Urbe Condita. Tribal politics often means using your enemy's enemy to strike a blow against them. This is one of two possible dates for the migration of a group of Boii through the Norican region to found an oppidum on the banks of the Danube (modern Bratislava in Slovakia). They also found a mint there, but an alternative date for this migration is 113 BC. More probably, migration takes place in at least two waves, with the later one being the better remembered. 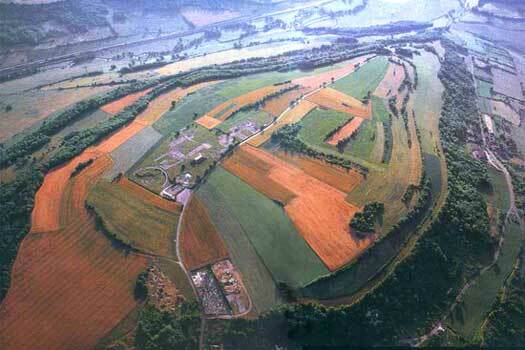 Archaeological evidence also shows a second century expansion of Celts from the Boii territories, heading north-east into Silesia (now part of Poland) passing through the Kłodzko Valley. This would be the main body of Boii expanding their territory further outwards. King of the Cimbri (& Boii?). Also known in legend as King Boiger. Teutobod and Boiorix lead a large-scale migration of Teutones and Cimbri from their homeland in what later becomes central and northern Denmark. Along the way they pick up Celto-Germanic Helvetii peoples (in territory that later becomes Franconia). Their passage sparks a partial tribal movement by elements of the Boii who invade the Norican region south of the Danube by 113 BC, after defeating the Scordisci along the way. They assault the settlement of Noreia and the Taurisci, who are allies of Rome, call upon the republic for assistance. The Romans respond and report that they have infliced a crushing defeat on the Boii, although this may be little more than propaganda, as the Boii seem to be little affected by the encounter overall. This particular group eventually settles in western Pannonia, to the south of the modern city of Bratislava in Slovakia. There they found an oppidum and a mint, although the timing of this event is uncertain. It can also be placed around 200 BC, which would completely disconnect it from the Cimbri and Teutones migration, but clues left in the name of the Cimbri tribe and its ruler suggest that this is the more likely date. Boiorix should be taken to mean 'king of the Boii', a tantalising clue to the interrelationship of Celtic politics and tribal leadership. The Cimbri and Teutones have ventured so far south into Gaul by this time that they break into Italy, coming up against the Roman republic. 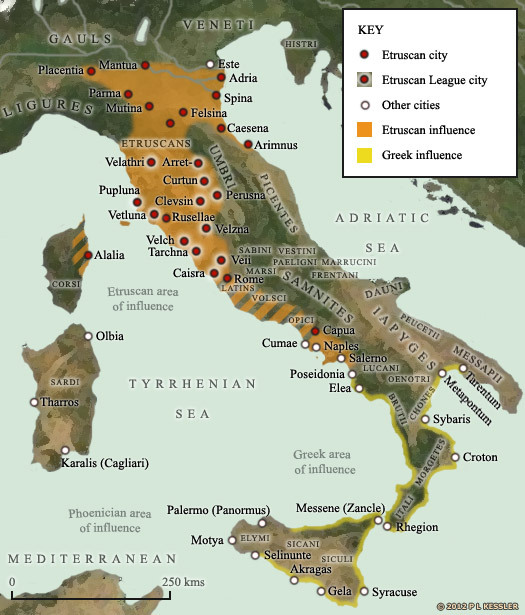 The resultant Cimbrian War sees initial Teuton and Cimbri success against tribes which are allied to Rome, and a huge Roman army is destroyed at the Battle of Arausio in 105 BC. Consul Gaius Marius rebuilds the Roman forces, while the Cimbri raid Iberia. In 102 BC the weakened Teutones are defeated and enslaved. The Cimbri are similarly destroyed at the Battle of Vercellae in 101 BC. In general terms, the Romans coined the name 'Gaul' to describe the Celtic tribes of what is now central, northern and eastern France. The Gauls were divided from the Belgae to the north by the Marne and the Seine, and from the Aquitani to the south by the River Garonne. They also extended eastwards, into the region that was becoming known as Germania. The Celts had ruled much of this in their heyday, but by the middle of the first century BC they were fragmented, and were either in the process of being expelled by the increasingly powerful Germanic tribes who were migrating southwards from Scandinavia and the Baltic coast, or they were being defeated and integrated into Germanic or other tribes. The Boii were an exception. They still had a firm grip on the Boiohæmum, which was centred on Bohemia, the western two-thirds of modern Czechia, but which extended across the Pannonian Basin (otherwise known as the Carpathian Basin). This offered protection in the form of the Alps to the west, and the Carpathians and Transylvanian Plateau to the north and east. By the mid-first century BC, the Boii were neighboured to the west by the Germanic Marcomanni, Quadi, and Hermunduri, to the north by the Semnones, to the east by the Celtic Helveconae and Naharvali, and to the south by the Taurisci. The name of the region, Boiohæmum, is made up of the tribe's name, Boii, plus the word 'heim', which means 'home'. Traditionally, 'Boiohæmum' was coined by Rome, and this name later evolved into Bohemia. However, the '-haemum' section is Latinised Germanic. The proto-Germanic word for 'home' is given as 'haim' in Fordsmeyer's. Despite the spelling difference, this appears to be the same 'ay-ee' diphthong. This implies that 'Boiohæmum' in its original form was imported into Latin after, not before, the Marcomanni took over the region. The Boiemum of Tacitus would seem to be a shortening of this. Despite the death of Orgetorix of the Helvetii, his people decide to go ahead with their planned exodus. Aquitania seems to be their target, where they hope to tie up with the Boii who have settled there, close to the Atlantic coast. Groups from several local tribes join the Helvetii, including Boii units from the tribe's main body to the north, making them one of the largest and most powerful forces in all of Gaul. As they depart, they burn their villages and any food stocks that cannot be carried, not intending to return. 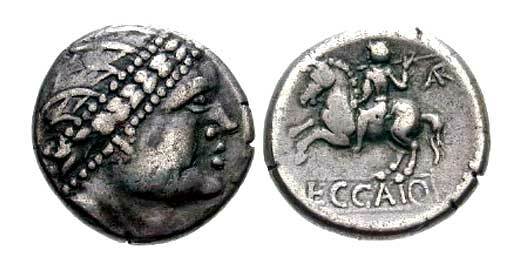 In the east, according to Strabo, one pocket of Boii is destroyed by the Dacian ruler, Burebista in 60 or 59 BC. There seem to be two pockets of Boii along the line of the Danube at this time, one in Dacia itself and the other in Pannonia Superior. The inclination is to suspect that it is the Dacian Boii who are exterminated by Burebista, but they may already have fallen as this attack also targets the Taurisci as well, and they most certainly do neighbour the Pannonian Boii. The district they have lost is later termed 'The Desert of the Boii', and it may well be this destruction that prompts many Boii to join the Helvetii. After some skirmishing, the Helvetii and the Romans face each other at the Battle of Bibracte in 58 BC, just outside the Aeduii oppidum of the same name. The Helvetii are mercilessly crushed by the six Roman legions. Perhaps two thirds of their number, men, women and children, are killed on the day, while another 20,000 are killed in the subsequent pursuit. The shattered remnants of the Helvetii are forced back to their homeland, while the Boii contingent is allowed to settle in the territory of the Aeduii. Having been greatly reduced, the Helvetii will be unable to fight off Germanic incursions that could also threaten Gaul. Julius Caesar allows the relatively hospitable Boii to settle a buffer zone to the north of the Helvetii and east of the Aeduii, but even this shift leaves gaps for Germanic incursions, and one such incursion is already underway to the north. Caesar receives a federation of chiefs from tribes that include the Sequani, all of whom are suffering thanks to the Suebic invasion under Ariovistus. It is this campaign and its mixed outcome, despite victory in battle, that triggers Julius Caesar's campaigns in Gaul from this point onwards, which result in the eventual annexation of the entire land into the Roman state. 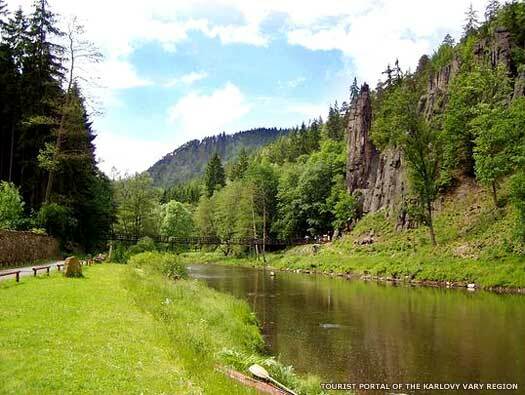 Perhaps forced to move by the Roman campaigns of 12-9 BC, migrations of Marcomanni and Quadi from the region of northern Bavaria and the River Main lead them eastwards into the homeland of the Boii (in later Bohemia), where the Celtic tribe is subjugated by the newcomers. The Cotini, to the immediate east of the Boii, seem also to be subjugated around this time, by the Quadi. Marbod forms a confederation of tribes which includes Langobards, Lugii, Marcomanni, Quadi, and Semnones... and the Boii themselves. Possibly this incorporates remnants of the alliances of Ariovistus of the Suevi in 58 BC. Following their successful takeover by the Marcomanni, the Boii simply change their name and language under the new administration. Traditionally, the Celtic Boii were smashed by the Marcomanni invasion of the last years of the first century BC. The surviving fragments are supposed to have scattered into surrounding Gaulish lands to the south and west, breaking up into several groups. However, in reality groups of Boii had been wandering far and wide for centuries. As far back as the fourth century BC a group of early Boii wandered into central Italy and settled there. By the middle of the first century BC there were several Boii groups across Europe, accounting for much of the supposed exodus material, while the smashing of the core Boii tribe and the exodus of their people may never have happened. It seems very likely that the Marcomanni takeover (as opposed to destruction) of the Boiohæmum was realised by a Germanic military elite moving in to become the new nobility, ruling over an unchanged population. The same thing seems to have happened when the Slavic Czechs migrated into the region several centuries later. There exist Czechs today who have an appearance that is not typically Slavic and not particularly Nordic, which is what would be expected if the population was entirely Slavic or Germanic respectively. The most important pointer for this supposition is that the Marcomanni leader, Maroboduus or Marbod, has a Gaulish name. There were several instances of Celtic tribes being led by Germanic rulers, or vice versa, and in this case it would seem that a powerful fighting force of Germans calling themselves the 'Bordermen' ('Marcomen'), led by a Gaul, took over the Boii. The 'Borderman' name itself is a potential give-away, as it was probably the Boii border to which they were referring. Following their successful takeover, the Boii simply changed their name and language under the new administration. As for the migratory Boii across Europe, one group ended up in Aquitania by the mid-first century BC, on the coast to the south of the River Garonne. Sometimes referred to as the Boeates (a division of the Biturices Vivisci) and perhaps as the Vocates (in Caesar's Gallic Wars), they found themselves neighboured by the Biturices Vivisci to the north, the Vasates and Sotiates to the east, and tribes of the Aquitani to the south. 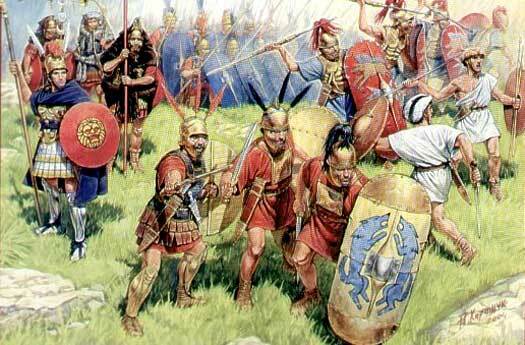 A small group found themselves in central Gaul, at Gorgobia, which was possibly Gergovia near Alesia. If Gergovia was indeed Gorgobia, then they were neighboured to the north by the Senones and Catavellauni, to the east by the Mandubii, to the south by the Aeduii, and to the west by the Bituriges Cubi. They were allowed to settle there by Julius Caesar in 58 BC, following the defeat of the Celtic host that was being led by the Helvetii. As they were relatively cooperative and amenable, Caesar added them to a buffer zone that was intended to prevent incursions by Germanic tribes living along the Rhine. They settled just in time to be dragged into the final Gaulish defeat at Alesia in 52 BC. Another group entered the soon-to-be Roman province of Pannonia Superior, settling there at an undetermined date which was probably around 113 BC, as part of the Cimbric War. They founded an oppidum at Bratislava, but by the mid-first century BC they seemed to have been pushed southwards from it by an incursion of the Illyrian Azari tribe. Their other neighbours at this time were the Hercuniates to the east, Illyrian tribes to to the south, and by the Taurisci to the west. A group also settled in Dacia, which was on the very eastern edge of Gaulish lands in Europe by this time. Their neighbours on all sides were Dacian tribes, with only the Celtic Anarti to the north-west through which to maintain any links with the host of Gaulish tribes beyond them. According to Strabo, one pocket of Boii was destroyed by the Dacian ruler, Burebista (Boerebista), in 60 or 59 BC, and the district they occupied was later termed 'The Desert of the Boii'. The inclination is to suspect that it is the Dacian Boii who were exterminated by Burebista, but they may already have fallen as this attack also targeted the Taurisci as well, and they most certainly did neighbour the Pannonian Boii. It may well be this destruction that prompted many Boii to join the Helvetii in their invasion of western Gaul in 60-58 BC. One of the earliest Boii migrations that has been recorded takes place in the fourth century BC. This group of Boii manages to migrate into Italy, getting as far south as Bologna, near Ravenna. They intermix with the dominant Etruscans, but are later defeated and subjugated by Rome. By the first century BC, they have been forcibly integrated into the Roman republic, although they retain elements of their language which have survived to the present day. Strabo connects these defeated Boii with those neighbouring the Taurisci on the Danube. He states that the Boii of Italy are driven out, migrating to the River Ister where they live alongside the Taurisci and fight with them against the Daci. However, this would seem to be a separate, earlier migration group, albeit with possible returnees joining it from Italy. The aforementioned Helvetii invasion of western Gaul meets with defeat at Roman hands. But Caesar's victory leaves him with other problems. First he forces the Helvetii back to their homeland in order to prevent more Germanic incursions into Gaul, across a border zone that is now relatively undefended. Next he allows the somewhat friendly or at least pacified Boii who had travelled with the Helvetii to settle into a buffer zone with the Aeduii and the Helvetii. Farther east, the Boii settlement at what is now Bratislava appears to have been 'pacified' by the Romans, who of course want the occupants to pay taxes. This is part of Pannonia, which is not fully subjugated by Rome until AD 8. Vercingetorix, after sustaining a series of losses at Vellaunodunum, Genabum, and Noviodunum, summons his men to a council in which it is decided that the Romans should be prevented from being able to gather supplies. A scorched earth policy is adopted, and more than twenty towns of the Bituriges are burned in one day, although their oppidum at Avaricum is spared. The Boii in Gaul have little with which to support the Romans, and the Aeduii are showing little enthusiasm for it, but Caesar secures all the supplies he needs when he besieges and storms Avaricum, despite a formidable Gaulish defence. From there, the two sides gravitate towards an eventual confrontation at Gergovia, a town of the recently resettled Boii. Now the chief of the generally pro-Roman Aeduii, Convictolitavis, is free to end his equivocation and leads a force not in support of Caesar at Gergovia but against him. The Nitiobroges also send troops to aid Vercingetorix there. Caesar loses the siege after having to split his forces to face the unexpected threat, a rare defeat for him in Gaul. Vercingetorix, his cavalry subsequently routed in battle, withdraws in good order to Alesia, a major fort belonging to the Mandubii. The remaining cavalry are dispatched back to their tribes to bring reinforcements. Caesar begins a siege of Alesia, aiming on starving out the inhabitants. Four relief forces amounting to a considerable number of men and horses are assembled in the territory of the Aeduii by the council of the Gaulish nobility. 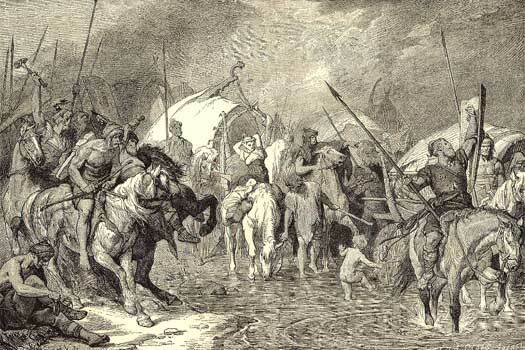 Among those demanded from the tribes of Gaul, the Boii, Boiocasses, and Raurici send substantial numbers of men. Together they attempt to relieve Vercingetorix at the siege of Alesia, but the combined relief force is soundly repulsed by Julius Caesar. Seeing that all is lost, Vercingetorix surrenders to Caesar. The garrison is taken prisoner, as are the survivors from the relief army. They are either sold into slavery or given as booty to Caesar's legionaries, apart from the Aeduii and Arverni warriors who are released and pardoned in order to secure the allegiance of these important and powerful tribes. King? Defeated by the Dacians. On or around one of these dates the Taurisci unite with the (probably Pannonian) Boii under their commander, Critasiros, but are defeated by the Dacian King Burebistas. Some modern sources show this command system in the form of Critasiros ruling over both people, whereas he is simply commanding a joint force. Rome finally conquers Pannonia. The result is that the Boii settlements there, along the Danube, are incorporated into the Roman empire. They are fully settled by this time, living alongside the neighbouring Azali. The Romans administer both peoples within the civitas Boiorum et Azaliorum - effectively the [client] kingdom of the Boii and Azali. The region becomes Pannonia Superior, governed by the praefectus ripae Danuvii, prefect of the Danubian shore. Elements of the Boii tribe may survive in the Pannonian Plain, probably in a subjugated state in the territory that will later become Bohemia. The Germanic tribe of the Rugii, which controls the area in the fifth century is now destroyed by the Romano-German general and emperor, Odoacer. In the void created by this destruction, a new confederation quickly forms. It is unusual in that it does not migrate from elsewhere but is made up from local elements, which include possible Boii descendants and Roman settlers, along with elements of the Germanic Alemanni, Buri, Heruli, Marcomanni, Ostrogoths (following the fall of their own kingdom), Quadi, Rugii, Scirii, and Thuringians. This confederation migrates southwards to form the Bavarii.